Billet aluminium filter housing that doubles as an oil cooler. Specially designed for Harley-Davidson motorcycles. Like the S4 version but slightly bigger. Oil flow is increased by 14% and cooling is increased by 21% compared to the S4. The sophisticated bypass is engineered for proper differential pressures and consistent operation, delivering a greater percentage of filtered oil while being very easy to clean. The twist lock design assures positive filter element placement and allows for easy disassembly, inspection and cleaning. The quad-ring gasket doubles the seal between the filter and the engine. Finally, the filter housing is carved out of a solid chunk of 6061T6 billet aluminum, which not only looks trick but aids in dissipating heat. 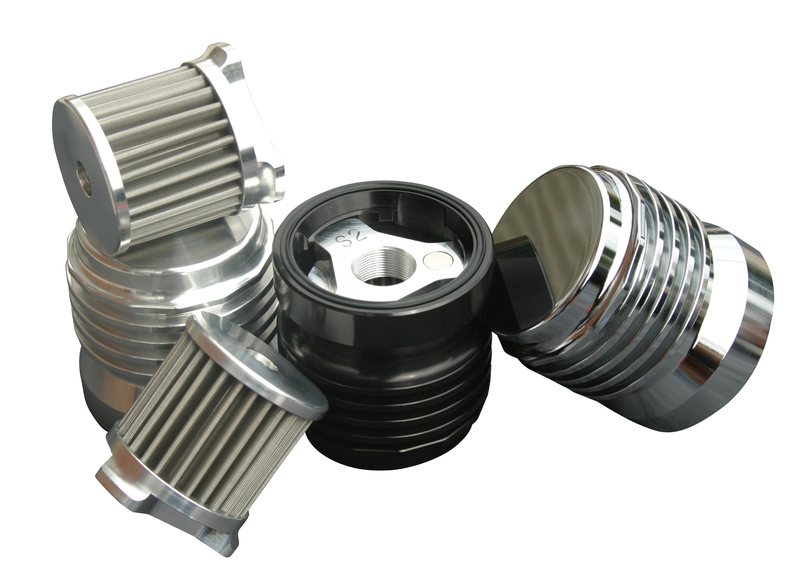 This filter is specifically designed for use on Harley-Davidson motorcycles. (Not V-Rods or Sportsters, they take the S10 or the S1 respectively).